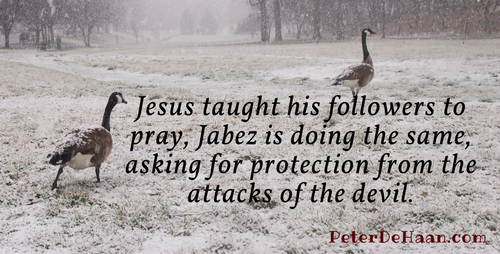 Just as Jesus taught his followers to pray, Jabez is doing the same, asking for protection from the attacks of the devil. Remember that Jabez has just asked for more blessings to bless others and for more opportunities to help others. The devil, opposing both those initiatives, will go after anyone attempting to do so. This is why Jabez next asked for God’s help, following it with this request for protection.